Brow Brush or Spoolie and our Clear Brow Gel. We all know what a difference a perfectly groomed brow can make. 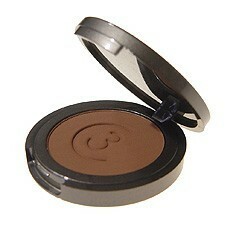 Our collection of six brow powder shades will blend beautifully with your natural hair color. Imported from France, our Brow Powders are finely milled to impart a silky texture and smooth application. A great alternative to waxy brow pencil and multi-funcitonal - they also make great cake eye liners or matte eye shadows! Also available in refills for your Refillable Trio Compact (click on REFILLS FOR YOUR TRIO).